Carla assists with all aspects of family law including divorce/dissolution of Civil Partnerships, financial issues arising out of relationship breakdown, prenuptial and postnuptial agreements and child related matters. Carla is a Solicitor in our Family Team. She graduated in Law from the University of Bristol in 2013 and went on to attain a distinction in her legal practice course in Cambridge the following year. 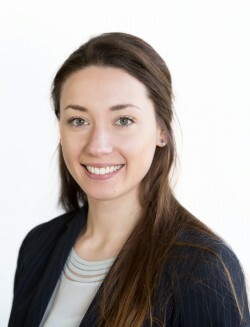 Carla joined the firm as a trainee in September 2014 (qualifying as a Solicitor in September 2016) and has gained a broad legal experience in the corporate, dispute resolution and family teams. As a member of Resolution (formerly the Solicitors Family Law Association) – a national group of family lawyers whose aim is to resolve disputes in a conciliatory fashion, Carla sits on the local Resolution committee. Carla is immediate past President of the Norwich & Norfolk Junior Lawyers’ Division and she is also a member of the Norfolk & Norwich Law Society committee. Carla volunteers at Norfolk Community Law Service (NCLS), a local legal advice charity. In her spare time she enjoys activities such as running, yoga and hill walking, as well as travelling and spending time with family and friends. Many thanks to Carla who guided me through the Consent Order process following my divorce. From the initial consultation to the Order being agreed at court was faultless and the process was made so easy for me by Carla, who showed empathy to my situation. A first class service and advice that I would highly recommend to family and friends. I wouldn’t hesitate in using Leathes Prior again.